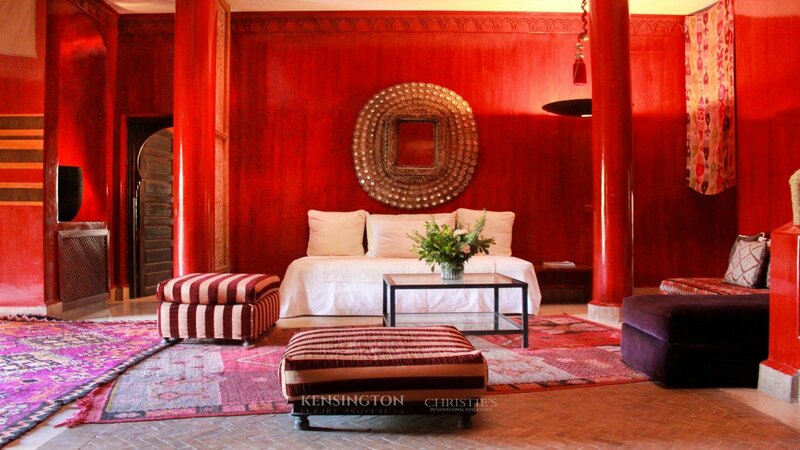 Luxury Villa for Rent in Marrakech. 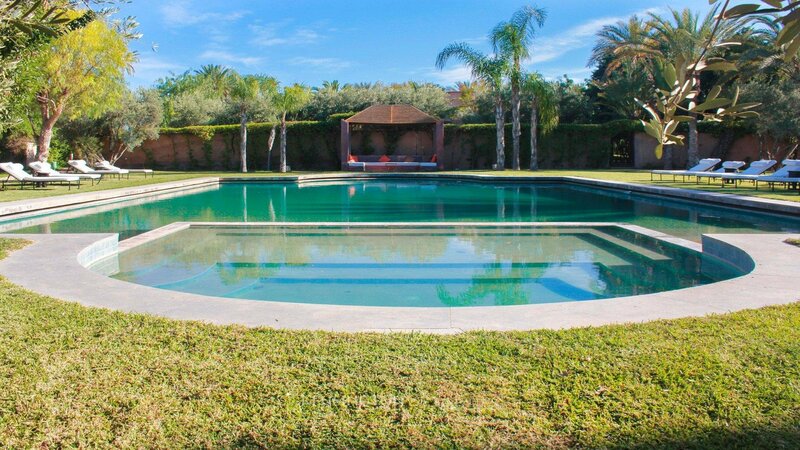 Jnane Fiestan features a fantastic tennis court, spa, and swimming pool. 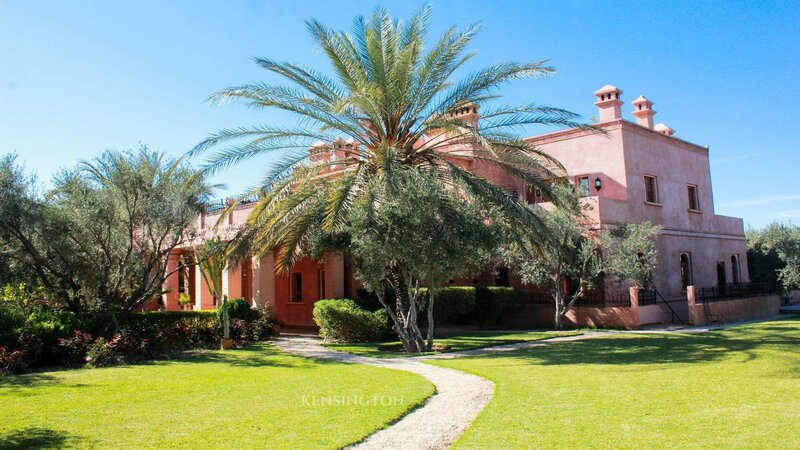 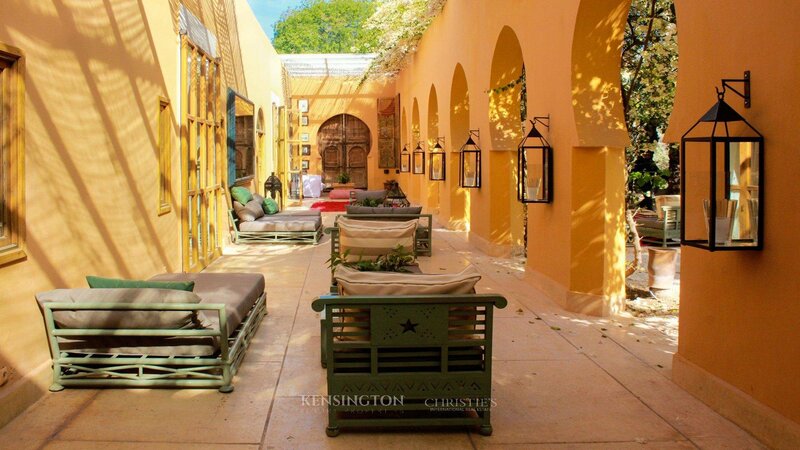 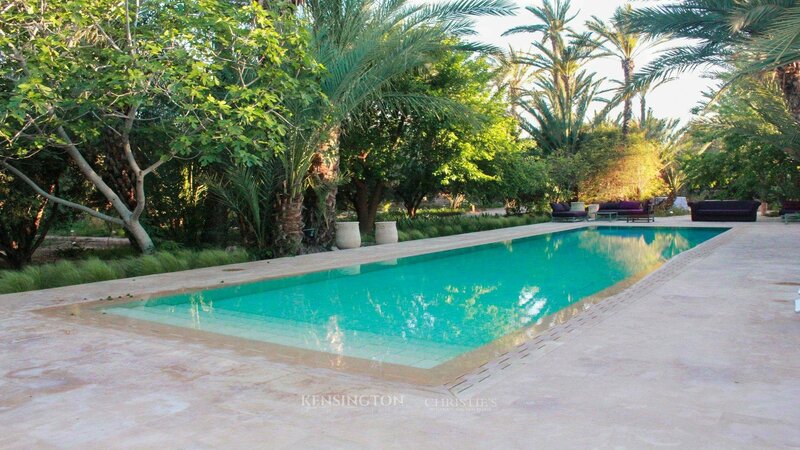 Villas, Marrakech and Parties - A great combination. 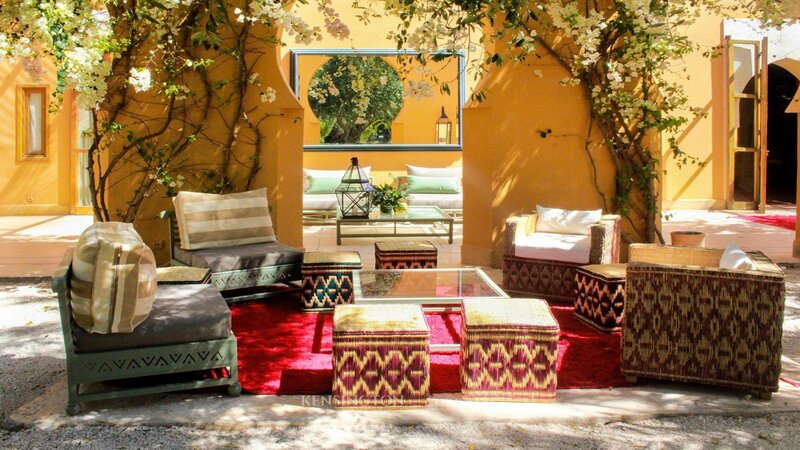 Want to party in Marrakech? 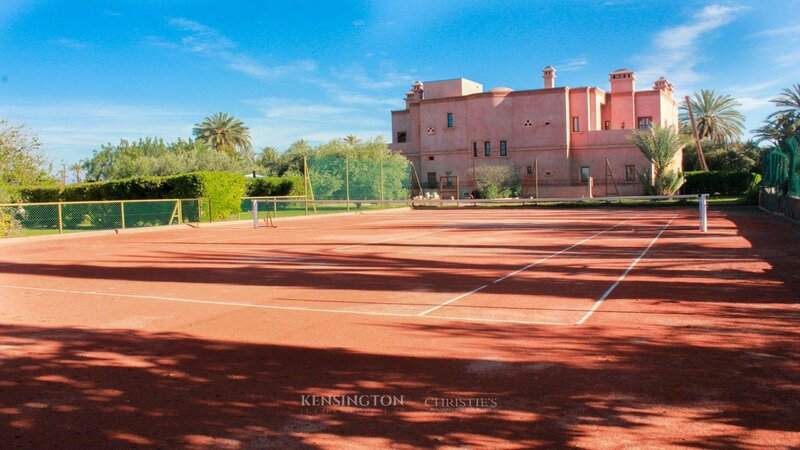 This magnificent 12 acre domaine located in the heart of the Palmeraie is home to 7 well decorated villas each with a private pool and a communal clay tennis court. 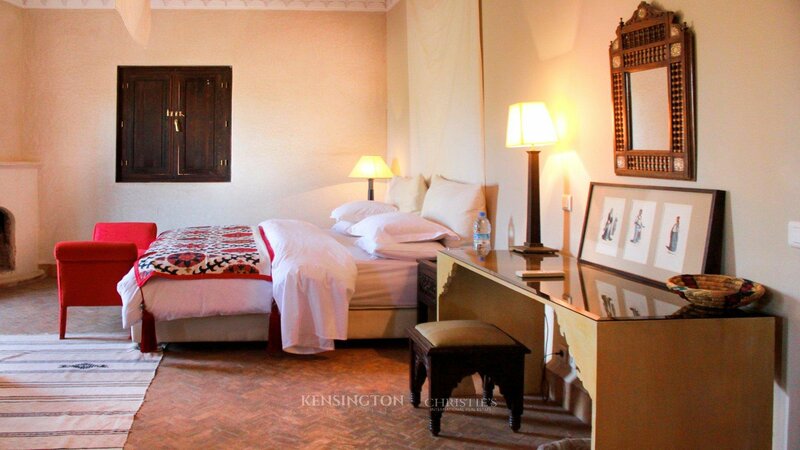 All surrounded by lush vegetation with the benefit of hotel services for a total capacity of 85 people. 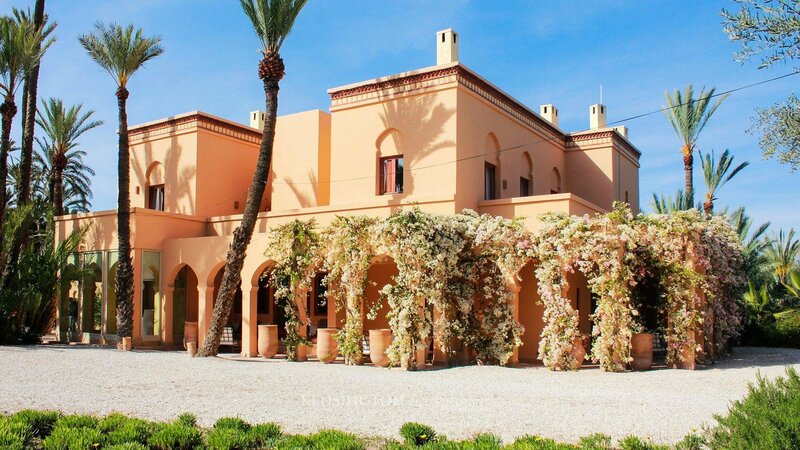 Its exceptional location and the harmony of these 7 villas all within a few minutes walk makes this one of the best places for parties, weddings, anniversaries or conferences whilst remaining within the intimacy of a private villa concept combined with the services of the hotel nearby. 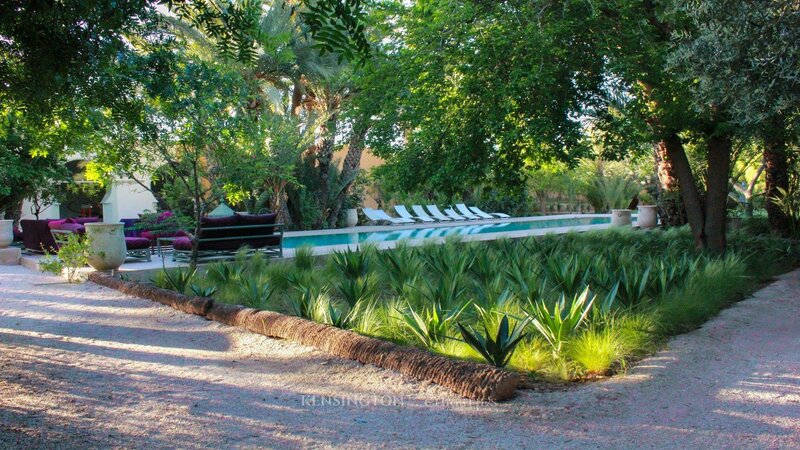 The botanical garden and the hundreds of varieties of plants, and the seasonal vegetables give inspiration to the chefs and the guests alike. 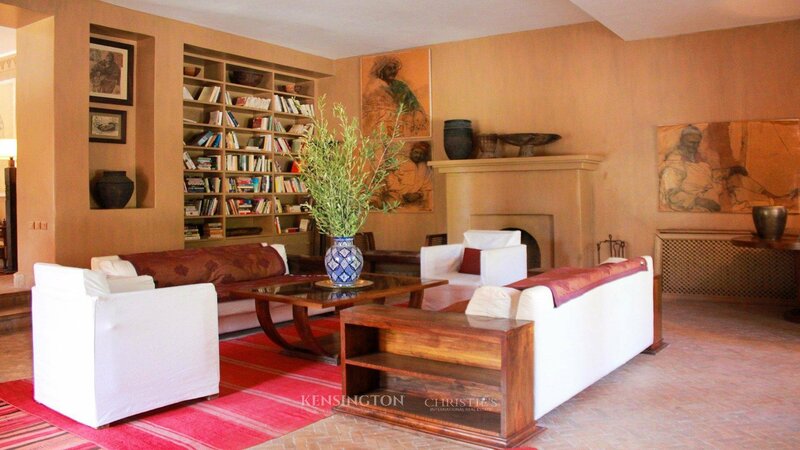 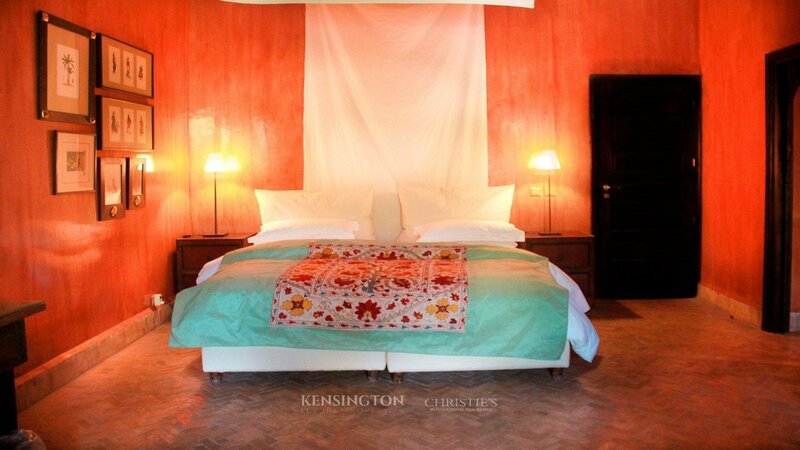 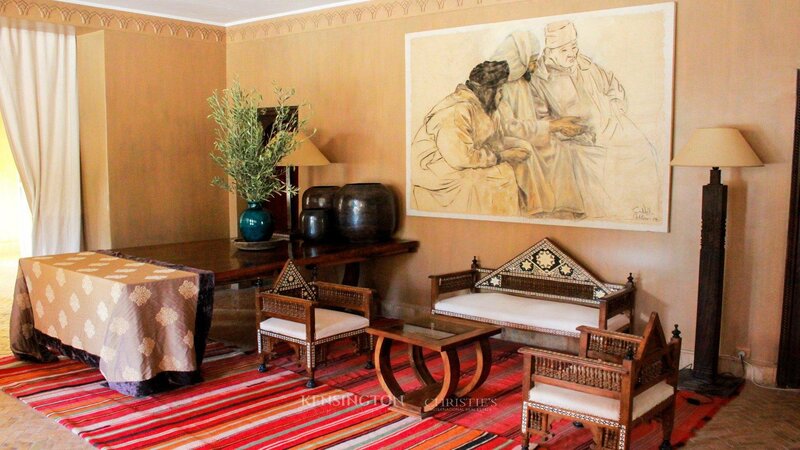 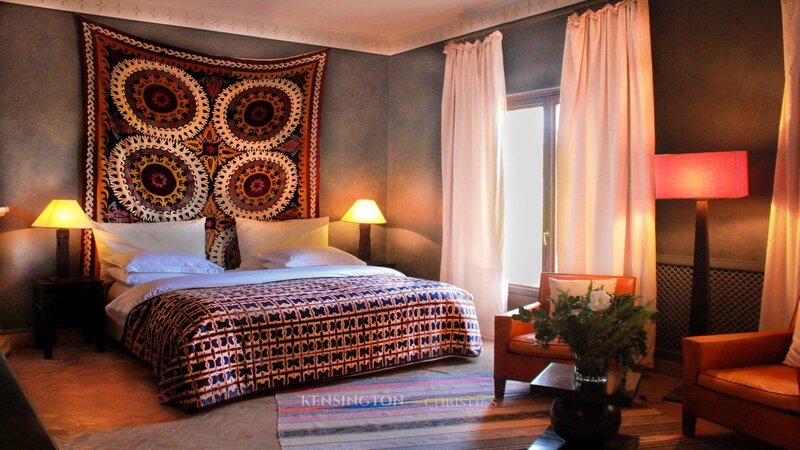 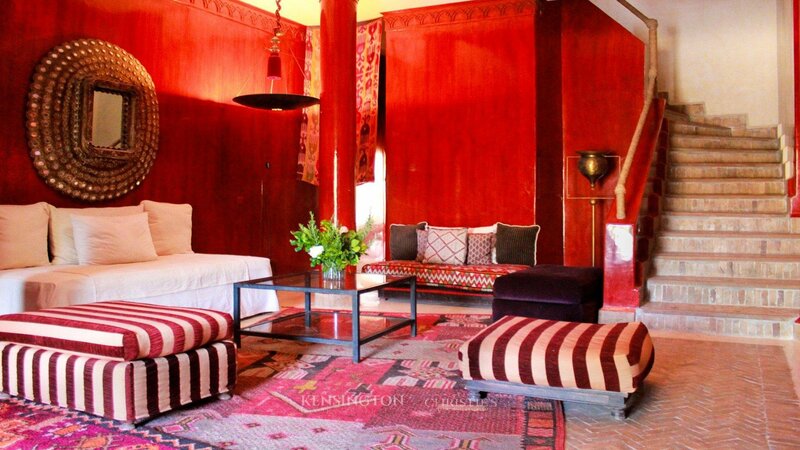 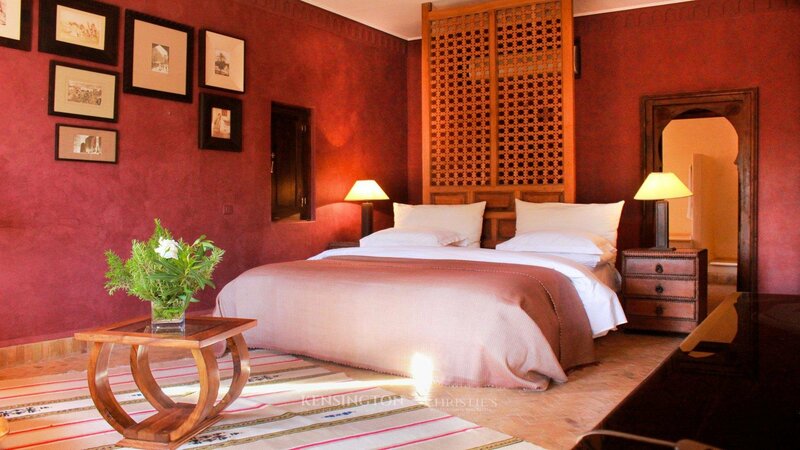 If you are looking for a truly stunning Marrakech villa hire, then this is the villa for you.